Six days of the best music and folk dance - and the whole world in one place! Every summer since 1947 Llangollen has staged one of the world’s most inspirational cultural festivals. 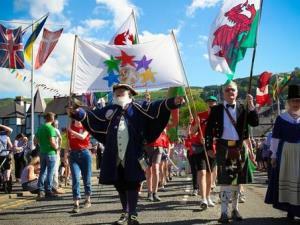 Each year around 4,000 performers and as many as 50,000 visitors converge on this beautiful small Welsh town and its International Pavilion; to sing and dance in a unique combination of competition, performance, and international peace and friendship.